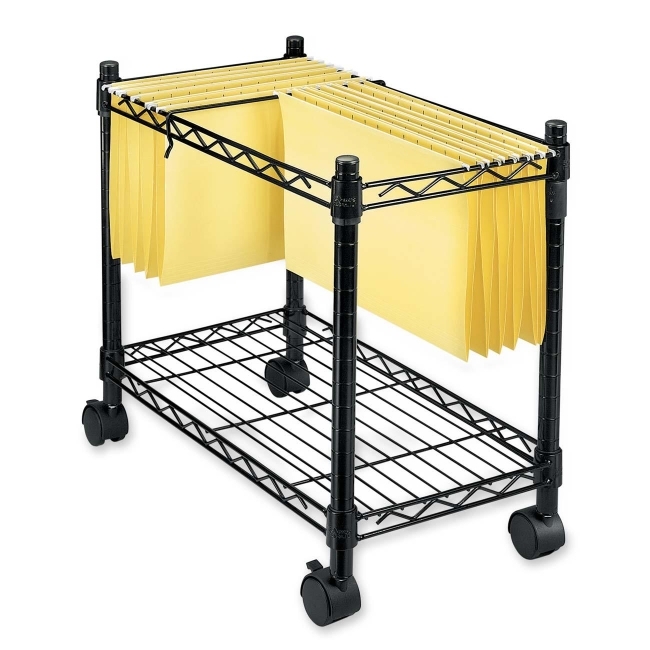 High-capacity file cart with adjustable divider system accommodates both letter-size and legal-size hanging folders. Four twin-wheel casters (two locking) allow the file cart to roll under desk or credenza when not in use. Sturdy wire and metal tubing design assembles without tools.